In this article we have set up and configured Royal Server. In this article we prepare a connection in Royal TS/X to access Royal Server. 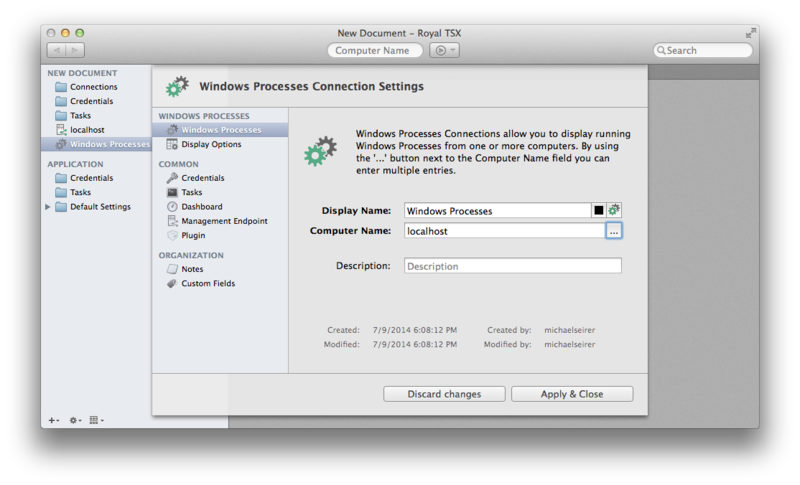 As an example, we will configure a Windows Processes connection in Royal TS and Royal TSX. 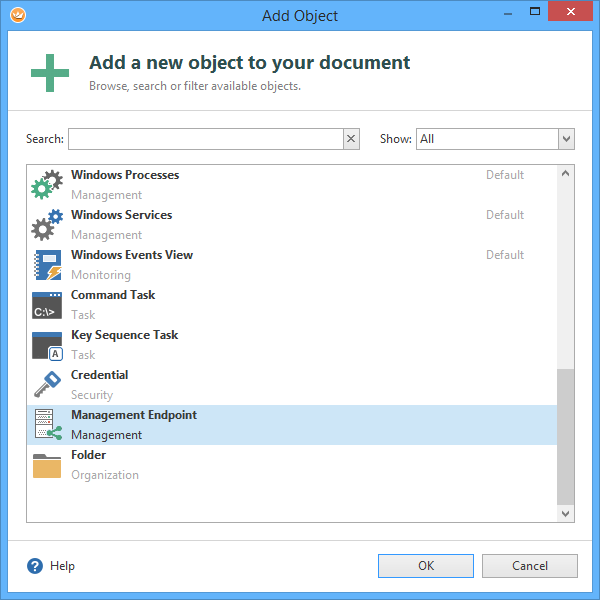 With Royal Server, a new object type is introduced in Royal TS/X: the Management Endpoint. 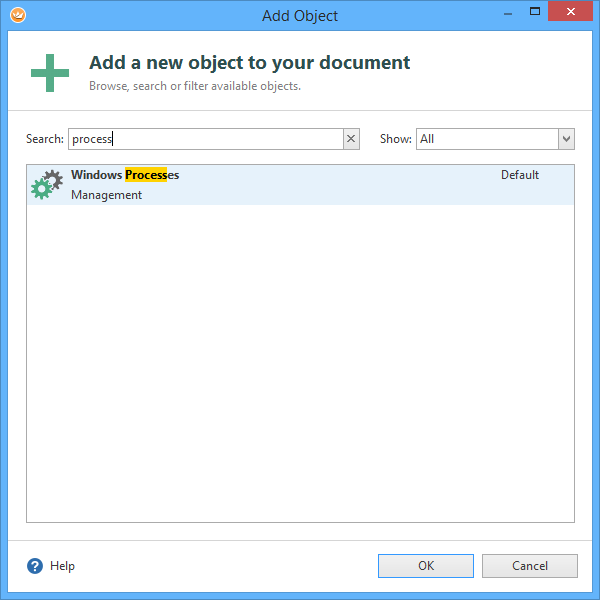 You can add a Management Endpoint using “Add” -> “More…” from the Ribbon or from the context menu. It encapsulates all necessary configuration to talk to Royal Server and execute module commands. You specify a display name and a computer name (FQDN or IP address), together with a port. If you have configured Royal Server to use SSL, check the Use SSL checkbox. The Test button allows you to test the connection to the server. If you have configured Royal Server to require authentication, enter a credential. This is the standard Royal TS drop down for specifying a credential. As usually, specify a Display Name and a Computer Name. 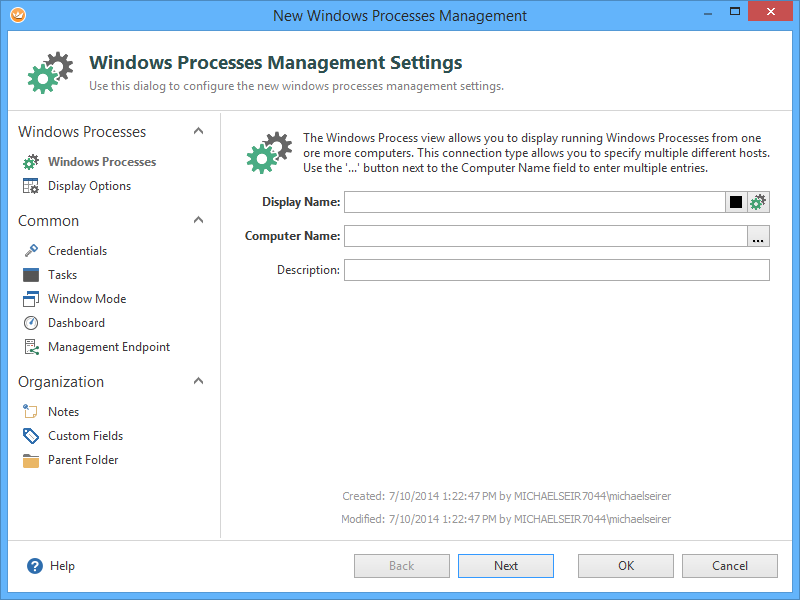 Remark: There will be a specialised post for the Windows Processes Management Settings you can specify. 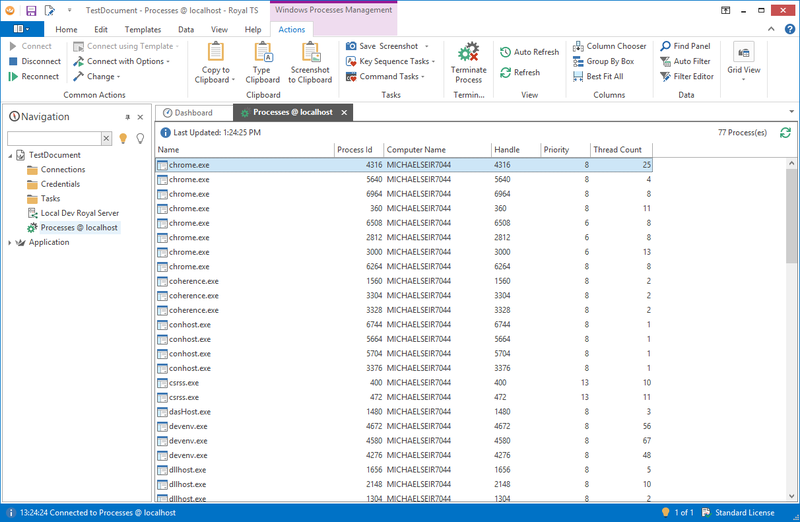 Now, you need to point the new Windows Processes connection to the previously created Management Endpoint. 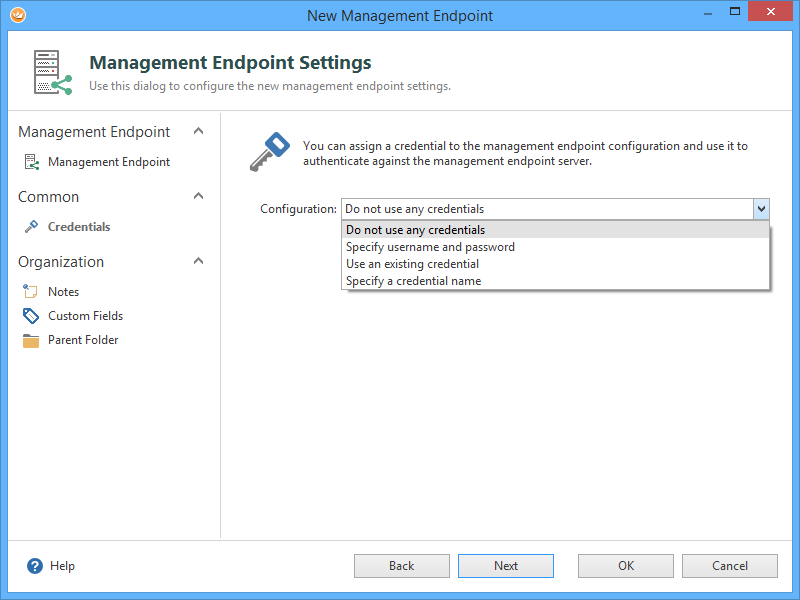 In the Configuration drop down, select the previously created Management Endpoint. By default, Direct Connect (No Management Endpoint ) is selected. And now: cross platform using Royal TSX! Of course, it was very important to us that this also works the exact same way on macOS! First, you define the Management Endpoint. If Require Authentication is configured, make sure you specify an account that is in the “Royal Server Users” Windows Group. 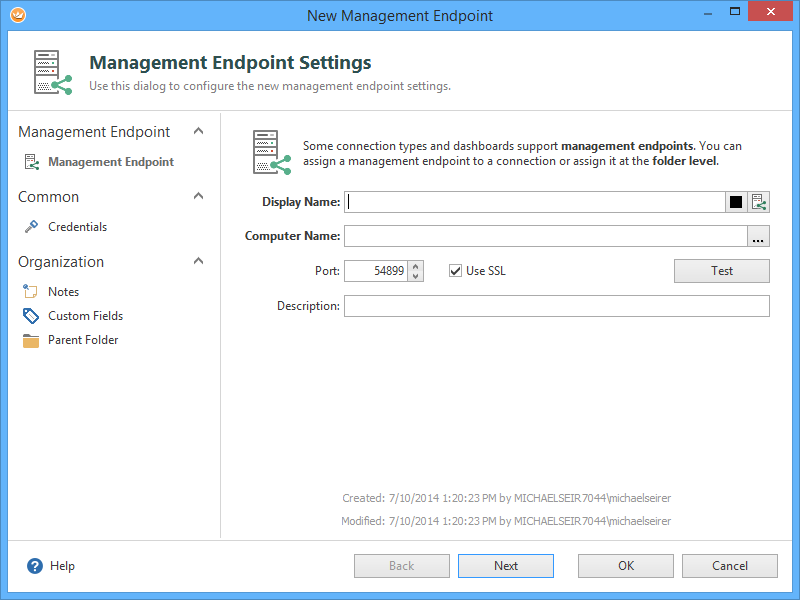 As you might have noticed in the Management Endpoint configuration of Royal TS (for Windows), you can specify “Direct Connect (No Management Endpoint)” as well. Direct Connect requires you to open many firewall ports (all high ports) in order to communicate with your servers. 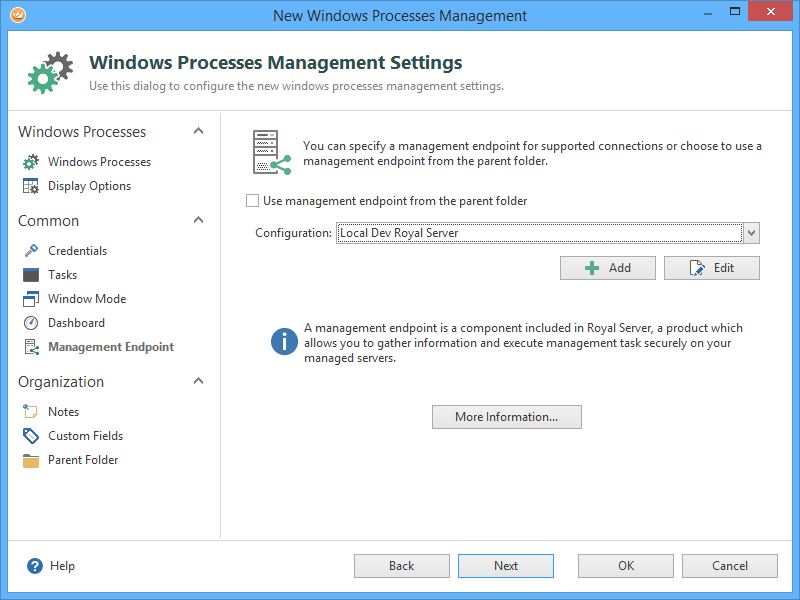 While it’s possible to use all management connections in Royal TS (on Windows) without Royal Server, it’s still highly recommended to use Royal Server and install it in the same environment where the machines you want to manage are located. Think of Royal Server as a special kind of “proxy” server which streamlines and channels traffic between Royal TS/X and your managed servers. Your network security guys will be delighted!